We can spend days, sometimes weeks, writing code that makes no apparent change to the appearance of our half-finished Airport Madness Pro. Then, once the focus moves to the visual aspects of the game, things come to life. Enjoy these screenshots of what’s in store for everyone in June 2019. What these images don’t show is the exciting new control functionality that Airport Madness Pro will offer. You can assign any runway to a departure. 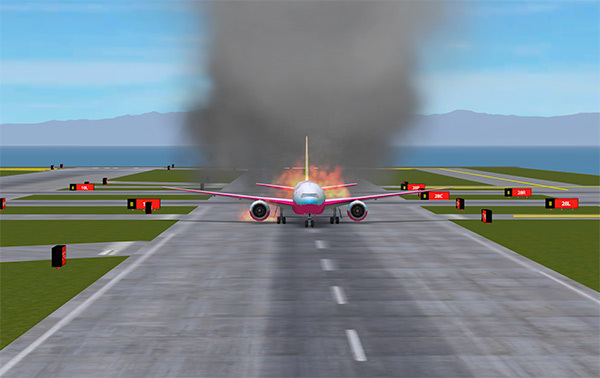 An arrival runway (or runways) can be pre-selected. Aircraft can be given very specific taxi routes (e.g. “Taxi via Echo, Charlie, Foxtrot, hold short runway 08 left…”). We’ll get screenshots of the new control panel to you in a few weeks. Airport Madness Pro will contain many details that Airport Madness 3D does not, including a thorough performance report after each ATC session. Voices will be much better in AMPro than earlier versions in the 9-game Airport Madness series. There will be six unique voices, offering more clarity and realism. We’re still aiming for June 1, 2019 as a release date. We are trying hard to stick to this! However, quality must come before punctuality, and if we find ourselves scrambling in late May, we’ll get things right before launch. We are very glad to see so many active users of Airport Madness 3D, and appreciate the comments we are seeing on Facebook, Instagram, Twitter and Youtube. Over the past six months we’ve added emergencies to both volumes. If you haven’t updated recently (or have not purchased), check out this latest update! Experience engine fires, cabin fires, hydraulic failures, even loose snakes onboard! Below are product links to both volumes of Airport Madness 3D, including a couple of brief teaser videos we whipped together for the mobile app stores. Now… back to work on Airport Madness Pro! It has been a busy Summer, but I am finding time to work on our upcoming Airport Madness Pro, as well as the existing Airport Madness 3D series. Much of my creativity comes from my full time air traffic control job, as well as piloting small airplanes. I’ve had a great deal of both this month. This week, I’ve been sneaking in time to code while on vacation with my family. Some of these emergencies will require fire trucks to arrive, and douse the aircraft with fire retardant while passengers spill out onto the runway. Other emergencies will be invisible, such as a fuel emergency, where you are simply expected to land the aircraft without any sort of delay. You don’t want to see what will happen if you assign a “go around” to someone who is already low on fuel! It’s a lot of fun adding these to Airport Madness 3D. It will be an optional feature, but I think you’ll turn them on and leave them on. I intend to keep updating both volumes of AM3D, while simultaneously building Airport Madness Pro. Unfortunately, these games all compete for my attention, and some of my older games have become completely neglected. The positive side is that I’m constantly delivering new content. However, I don’t see any future updates for games prior to Airport Madness 3D (at the moment). Almost all of the demand is for AM3D updates, as well as AMP. Occasionally I get emails from users checking to see if I’m still alive and building games. I definitely am, but these things take time. I don’t ever plan to retire from game development, but I will definitely pace myself as needed. SO WHAT ABOUT AIRPORT MADNESS PRO? 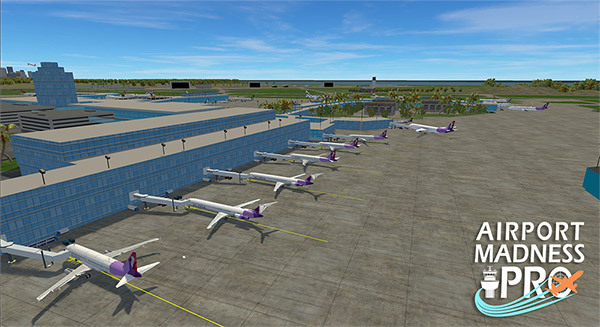 I hope to launch the AM3D updates in August, then get back to work on Airport Madness Pro. At the moment, my plan is to start selling pre-orders on January 1, 2019. This will hopefully be the popular buy choice, as there will be a discount and you’ll receive the full release before anyone else does. I’ll likely sell a beta version as early as April 1, 2019, also at a discount. You’ll get an unfinished copy of Airport Madness Pro before everyone else, and you will be entitled to the full version when it arrives. 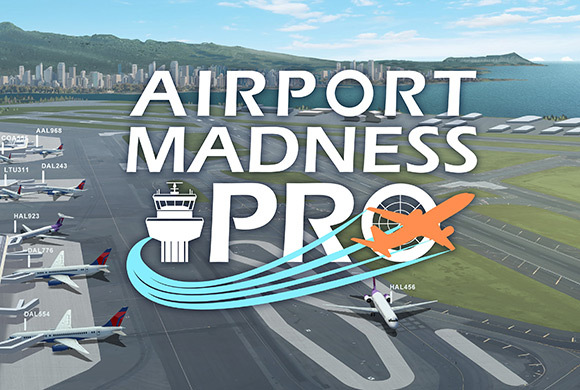 And with any luck, there will be a full release of Airport Madness Pro on June1, 2019! 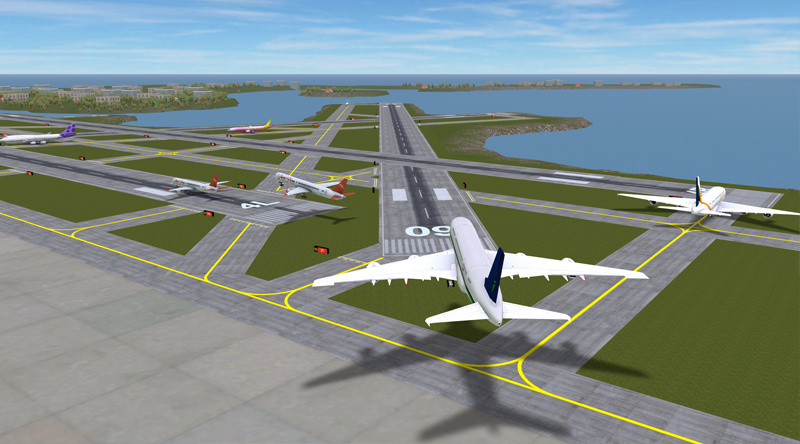 This entry was posted in air traffic control games, Airport Madness 3D, Airport Madness Pro on August 4, 2018 by admin. 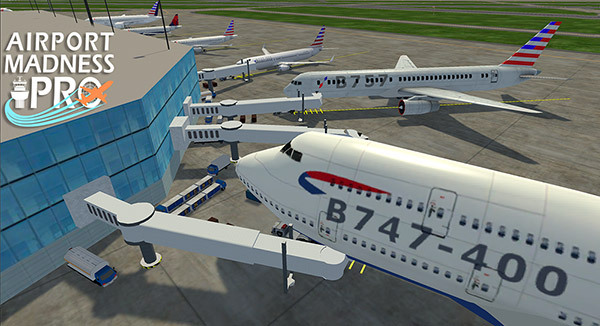 It’s difficult to believe that Airport Madness 3D is now more than two years old. Volume 1 released on May 11, 2016, followed by Volume 2 on November 21, 2017. It’s been two months since I’ve released any updates, so I thought I’d give you an update on what we are working on at BFS. For too long, a very challenging bug existed in Airport Madness 3D: Volume 2 whereby aircraft would refuse to park themselves. We were unable to reproduce the issue, nor even guess at the cause. I felt like a car mechanic who was told “something is rattling” under the hood. Each day I would read complaint emails from users, and would ask as many questions as I could. I would then lift the hood, grab my wrench and make a few arbitrary changes. My team of 10 testers would then play with the revision for a few days. Once we all felt that the problem was solved, I would ship the update. Then new complaint emails would come in, and we would realize that the bug was not fixed at all. And the process would repeat. On April 29, I shipped AM3D2 Update 1.214 and the complaints have since stopped. I celebrated by taking a week off from game development, then I jumped head-first into the development of our next big thing, Airport Madness Pro, which releases Summer 2019. I’m very excited about this project. It’s a game that I can’t wait to play. 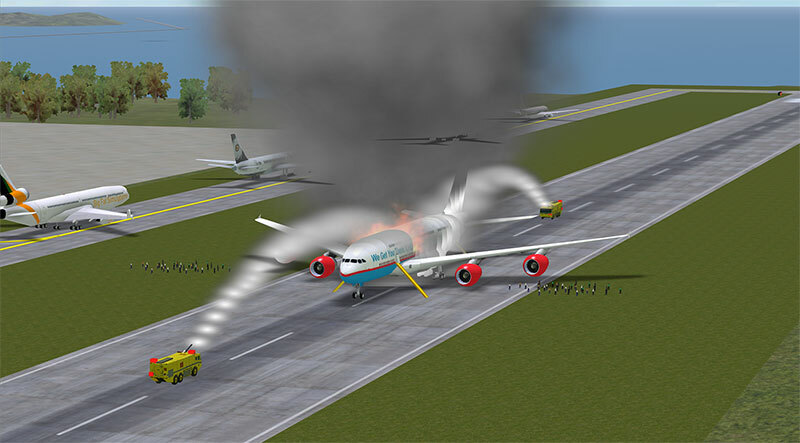 To summarize it, Airport Madness Pro will be a realistic version of Airport Madness 3D. ATC Separation requirements, wake turbulence, more realistic airports and aircraft, plus better overall graphics. 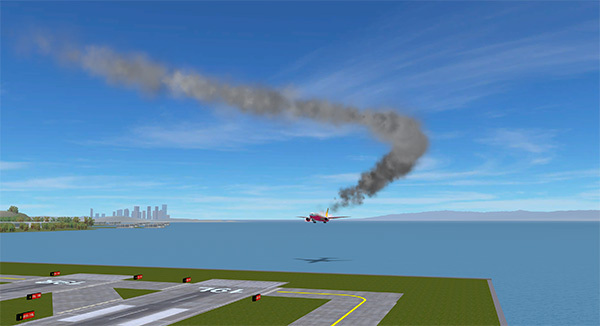 For those who like the current Whack-a-Mole style of Airport Madness, where planes move fast and furious with explosions happening everywhere, that will be an option in the game settings. I am not finished with the two volumes of Airport Madness 3D. I would still like to add emergencies to the game, as well as regular minor updates. I would love to add “night”, as so many users have requested. Unfortunately, night is a giant undertaking. Every single object, be it grass, cement or the aircraft, requires a new night texture file which would make the file size even larger than it is. Cities would need to be rebuilt with proper lighting, as well as runways, taxiways, aircraft and cockpits. I’m not convinced that this feature would be favoured over the production of Airport Madness Pro. I might be able to offer dawn/dusk mode by simply altering the sky and lighting, but that’s about all I currently plan to do for a night effect in Airport Madness 3D. My plan is to produce updates for both volumes of Airport Madness 3D by the end of July 2018, then get back to work on Airport Madness Pro. 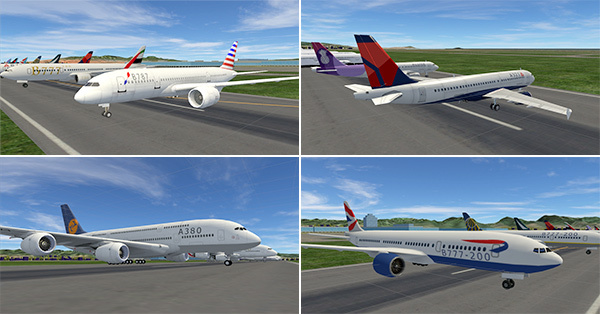 Have a look at this video, which represents most of the new aircraft of Airport Madness Pro. As you will see, I am interested in respecting the trademarks of the real-world airlines. You will hear the pilots check in on the radio eg. “Delta 123”, but you might notice that the aircraft have slightly modified paint liveries and logos, with no airline names printed on the nose of the aircraft. I think they look superb. While using exact paint liveries and airline logos would be ideal, I believe that a certain amount of detachment from reality adds a bit of flavor to the game. Airport Madness Pro is a game that I can’t wait to play. This is the fancy name I’ve given to my next development, but inside my head I think of it as Airport Madness 9. It is hard to believe that I’ve been doing this for 10 years now. I remember finishing Airport Madness: Time Machine in 2012 and thinking, “What else can I possibly build in Airport Madness?“. There are some realistic aspects of air traffic control that are extremely fun, and so far, missing from the Airport Madness series. Applying real-world separation requirements is fun. Separating a string of departures, each of different weight category and performance, requires a little more thinking than the current AM3D “whack-a-mole” style of ATC where absolutely anything goes, as long as the planes don’t collide. This complexity, of course, could optionally be disabled. 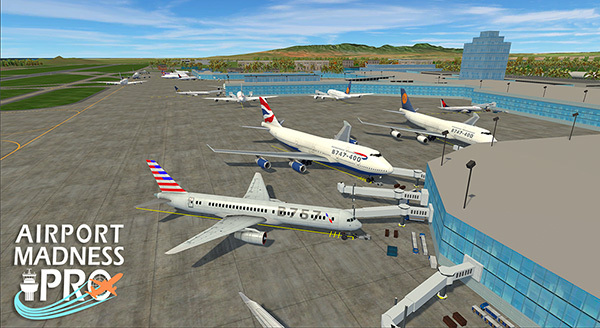 Airport Madness 3D has taught me a great deal about 3D game development and the Unity development platform. I’ve made countless mistakes over the past two years where I’ve told myself, “I won’t ever do THAT again”. I feel much more organized than with previous versions of Airport Madness. For example, a game begins with a Game Design Document, which I have recently finished writing for Airport Madness Pro. It’s an instruction manual for how to build the game. In earlier versions, I would start building the game straight away, and see what happens. I’ve added some neat tools to my development process. Google Sketchup the 3D modelling program I am using to design much of the game detail (with the exception of aircraft and terrain). Speechmaker is a tool that generates multiple pilot voices for the game. Instead of the standard three voices used since AMWE, there will be six in total, both male and female. 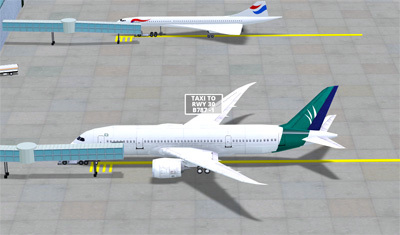 The aircraft types will be similar to that of AM3D except for the Concorde, which will be retired for AMP. New paint jobs will be strikingly similar to real-world airlines, although despite using the actual spoken callsigns, I still want to distance myself from any Trademark issues by not putting any airline logos within the game, and maintaining a slight variation on the paint jobs. This entry was posted in Uncategorized on June 10, 2018 by admin. I’ve spent a great deal of time this past month on airport and aircraft detail. Much of the work has been experimentation, always asking myself, “What looks good, yet performs well across all devices?”. I’ve come up with a new development method for airport surface detail (grass, runways, taxiways, lines and numbering) but it’s not quite ready to share with you. However, I have finished developing the aircraft models (now they just need some paint!). I haven’t used this blog much over the past year, mainly because of how busy I am with the Airport Madness series. There is a great deal going on, and I will try to share the details more frequently here. My last post was six months ago, announcing the release of Airport Madness 3D: Volume 2. It’s been a wild ride. Sales of volume 2 have been stronger than volume 1, and I was lucky enough to get volume 1 featured on the Mac App Store in January. Having said that, I have received a great number of emails from users who would like to see something new, rather than 12 more volumes of AM3D. Whether or not I build a third volume of AM3D remains to be seen. What I can tell you for certain is that my next big thing is called Airport Madness Pro, a more in-depth, realistic version of Airport Madness. This will release in the Summer of 2019. People have emailed me saying, “Hey, that’s like a year away”. These things take time to design, build and test. I enjoy developing these sims, but not when I’m in a time crunch. So I’m giving myself plenty of time, and I’ve even built in the time I’ll need to keep updating both volumes of Airport Madness 3D. I plan to continually support and update these two games. How much will Airport Madness Pro cost? “More than AM3D” is the best answer that I can give. 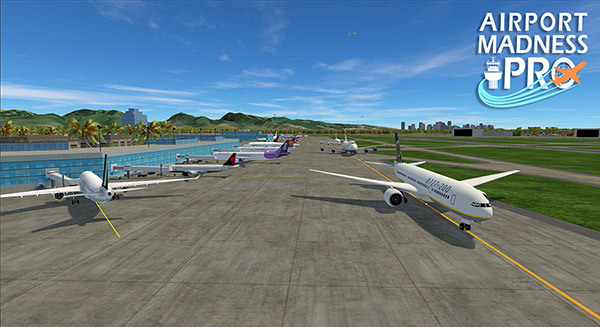 The AM3D volumes sell for USD $20 each and offer 8 airports. That’s about $2.50 per airport. If you compare that to similar ATC games that charge $20 per airport, it’s a good deal. Since AMP will offer higher detail and complexity, the airports will likely cost somewhere between $5 and $8 each. I plan to offer four airports initially, with new airports available for purchase every month or two. I hope you all will stay tuned to this blog, as I plan to share a great deal of my progress, even at the risk of underwhelming you with early, unfinished work. This entry was posted in Uncategorized and tagged Airport Madness Pro, AMP on May 8, 2018 by admin. As I’ve said before many times, when this blog seems dead it’s because I’m busy coding up my next piece of magic. I’ve been meaning to post here for many months, but it’s hard to find the time. I’ve been very vocal on Twitter and Facebook, but will try to speak up a little more here if I can. 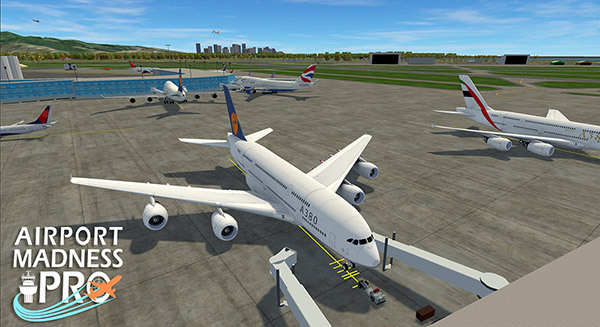 Airport Madness 3D: Volume 2 released on November 21, exactly 1 day early. That’s a first for Big Fat Simulations. I’ve never been on time with anything. Since development on this began 6 months ago, I’ve tried to be clear about what I was making. Not a second version of Airport Madness 3D, but a second volume of it. What’s the difference? The term “volume” was used to indicate more airports, under the same game title. A second version would indicate something that takes a major leap forward with all-new features and a fresh feel. So far, the second volume has been well-received. People think the airports look a little better in this volume (likely because I’m getting more experienced with the authoring software). I’ve made some big changes to the traffic system around the aprons. You may have noticed in the past that all aircraft had to funnel into an apron via the same path. In AM3D2, this is no longer necessary. But things get messy when an aircraft waiting at the south end of an airfield gets assigned a particular gate, then gets caught up in a traffic jam on its way there. The gate forever remains earmarked for that aircraft, and in extreme cases, the apron can become somewhat emptied, with all aircraft waiting for gates to become available. It’s still an imperfect system, but I’ll keep working at it. Here’s a video of me, playing Airport Madness 3D: Volume 2. I’ve decided to spare you all the goof-ball corner image of my face while I speak. It’s bad enough that you have to hear my voice at all! Enjoy this one, folks. It’s by far my favorite airport in Airport Madness 3D. Six runways, guaranteed to stress you out for hours. This one was a pleasure to design and build. Who wants to see a second volume of Airport Madness 3D? AM3D Volume 2 is coming next, and likely will launch with between six and 8 new airports, including San Francisco International. This entry was posted in Airport Madness 3D on July 16, 2017 by admin. Hey, Where’s the Next Update? The aircraft in this screenshot have fake shadows, not actual shadows that were calculated by the CPU during game play. reducing vertices of objects. Vertices give an object its shape. An aircraft in Airport Madness can have a tremendous number of vertices, depending on how much effort the artist put into it and how rounded and smoothed the surfaces are. I went through Airport Madness 3D with a fine-tooth comb, looking for detail that could be stripped away without anyone noticing. For example, airplanes that are far away on the horizon can be faked using extremely low-detail versions of themselves. And even though the artist who created the airport vehicles added spectacular details such as mirrors and exhaust pipes, I was able to boost performance by whittling them down to something manageable. I even removed all shadows from the game, which was something that slower machines had difficulty rendering. That’s right, there are no actual shadows in Airport Madness 3D. The shadows you see beneath the airplanes, vehicles and gates are all faked, in an effort to improve performance. I think they look quite good, honestly. I ran into numerous issues delivering this update. Moments after releasing the Mac version, emails began pouring in from users who were experiencing unbelievably horrible graphics. I spent two days researching the problem, and when I could not find a solution, I decided to simply rebuild the file. Voilà, that fixed it. However, moving on to the iOS build, I again received a huge number of complaints from users, this time reporting that only one quarter of the screen could be seen. This problem took two days to fix. On to the Android build. No matter how hard I tried, I could not seem to get the build size down to the mandatory 100MB. I spent the better part of a week trying to find ways to get file sizes down. Along the way, I learned a ton about game development with Unity3D. The learning curve was painfully steep with this update, but I am proud to say that I understand so much more now, than before. There was a moment, however, when I really felt like tossing my computer out the window. I’ve read stories about game developers who lost their minds and did crazy things, and began to wonder if I was that far off. 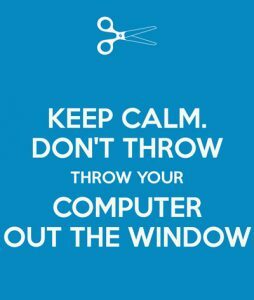 But no, my computer is still totally intact, as is my sanity. I’m always amazed at how much work goes into building a game. Even just a simple update is a great deal of work. Adding a new airport to Airport Madness 3D is huge. As a one-man show, it’s difficult to maintain expertise in so many areas. 3D modeling, real-world terrain height maps, C-Sharp code, Unity3D, Photoshop, xCode, and all of the App Store submission portals including iTunes, Google Play, Steam and my own website. I find, if I don’t do something for a couple of months, I begin to forget how. As I put the finishing touches on Boston Logan, I keep having to stop as I try to remember how to do certain jobs, such as programming the AI parking system. How the heck did I do it for the previous 7 airports? I get emails from users asking, “Where is the airport you promised back in May?”. And I want to reply, “What promise? Are you referring to the FREE airports I’ve regularly been adding to this game, because I’m such a nice guy?” I hope you can understand how this can wear me down, but to be honest, I’m thrilled to receive such emails. It means that my game matters to someone, which is far, far better than obscurity. I am extremely optimistic and excited for the future of Airport Madness. However, I admit that I’m moving at a terribly slow pace. It’s difficult being a full-time air traffic controller AND a game developer. I can usually find about 15 hours per week to work on the game. I’ve considered hiring help, but then, I’d have to pay them. Employees tend to disappear if you don’t pay. Considering the annual earnings of Big Fat Simulations Inc, I’m not sure if my bottom line would would improve with a full-time artist and full-time coder on the payroll. So I’ve decided to remain a one-man band. Controlling planes, and building games on the side wherever I can fit it in. 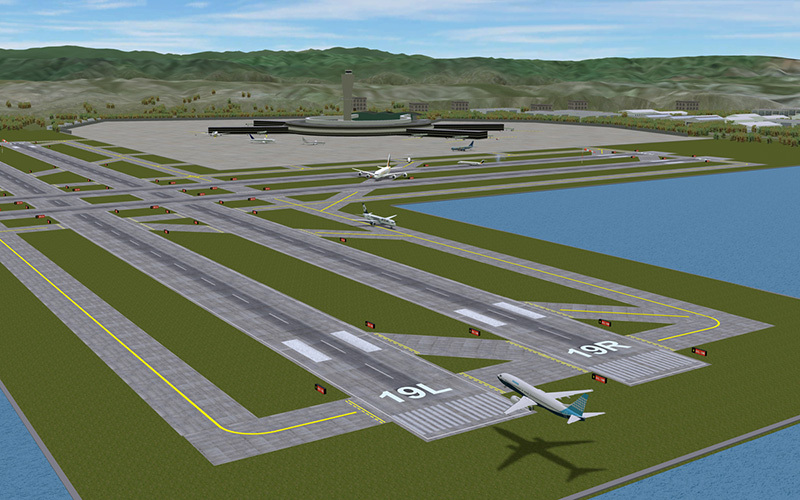 Boston Logan should be coming to AM3D by early July. Stay tuned, I’ll be talking about The Next Big Thing here, shortly!